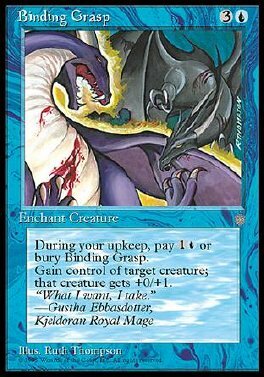 Enchant creature At the beginning of your upkeep, sacrifice Binding Grasp unless you pay 1U. You control enchanted creature. Enchanted creature gets +0/+1.